Railpictures.ca - Richard Hart Photo: CN nos.2549 & 2557 have reached mile 63.3 on the Okanagan sub and are heading south with today’s load of empties. | Railpictures.ca – Canadian Railway Photography – photographie ferroviaire Canadienne. 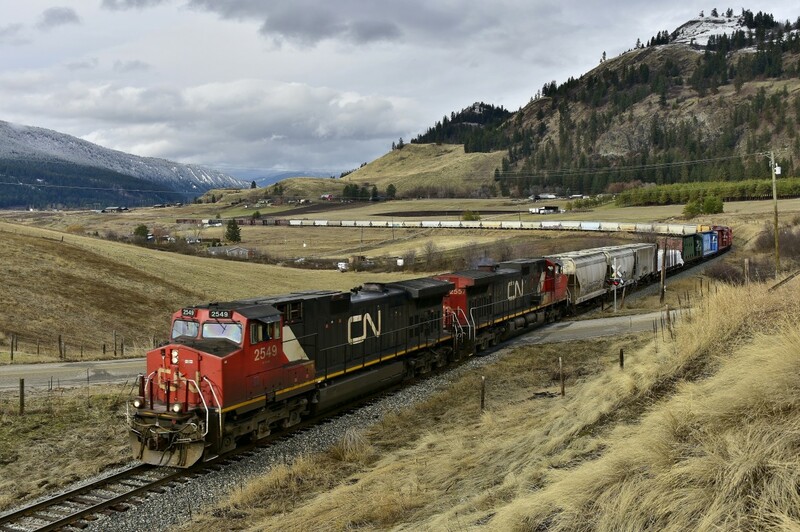 Caption: CN nos.2549 & 2557 have reached mile 63.3 on the Okanagan sub and are heading south with today's load of empties.